Hi! My name is Chiharu. I was born in Shikoku which is smallest of four main islands of Japan. Shikoku is surrounded by ocean that’s why I still like to live in a house near ocean. I went to abroad in my twenties to study English and I lived in 3 different countries for 3 years. Since returning to Japan, I have lived in Tokyo for more than 20 years. My house is closed to the ocean and I can enjoy jogging to see ocean almost every day. I do love traveling overseas and traveling domestically. My unforgettable travel memories are filled up with these. 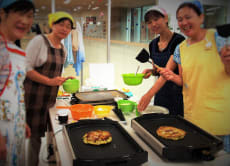 As a Japanese host, I would like to provide you special experience events to make you to enjoy Japanese culture, food and people. I hope you can spend unforgettable wonderful time in Japan.